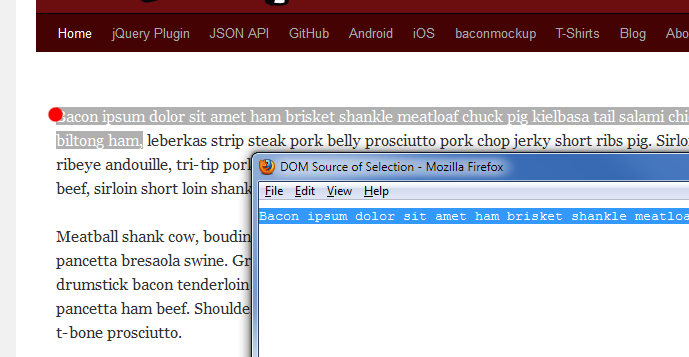 Interesting, Bacon Ipsum seems to cause problems for dabbler. After digging into it a bit more, it seems to be an issue only with Firefox and where you start copying text. If we use the mouse and start selecting text right at the first letter (where the red dot is), it works fine. You’ll see in View Selection Source that only the bacon ipsum content is selected and it can be pasted into dabblet without any issues. 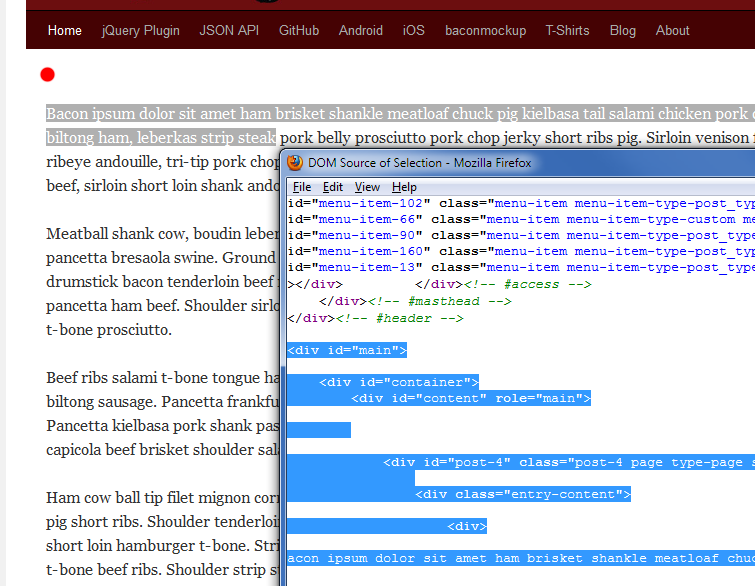 If we put the mouse a little bit above the first bacon ipsum text and start selecting, some of the HTML is getting selected as well. You can replicate the results in this dabblet and here’s more info via @wrumsby. Going to put this out on Twitter, hopefully the Mozilla team will see it and weigh in.